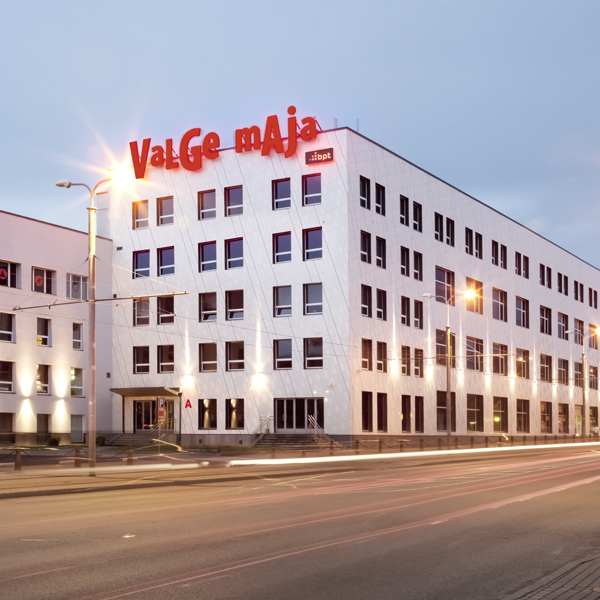 Valge Maja is a multi-functional business center in Tallinn. 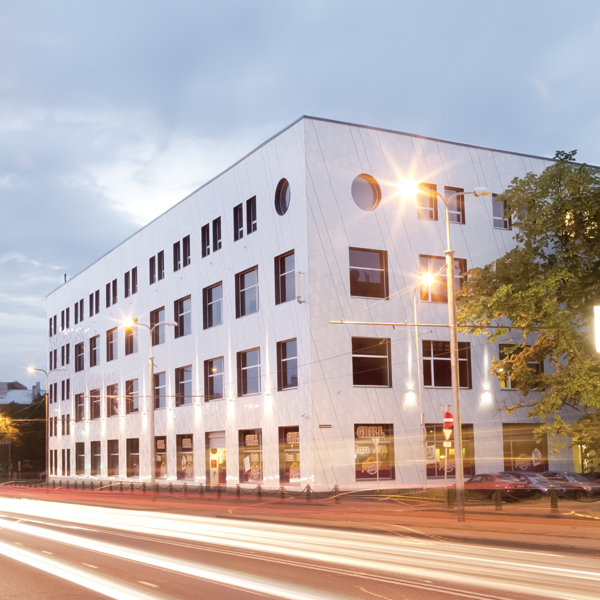 The property is located on the arterial Tartu road which connects the central business district and the Tallinn International Airport, and still is in the walking distance from the city center. 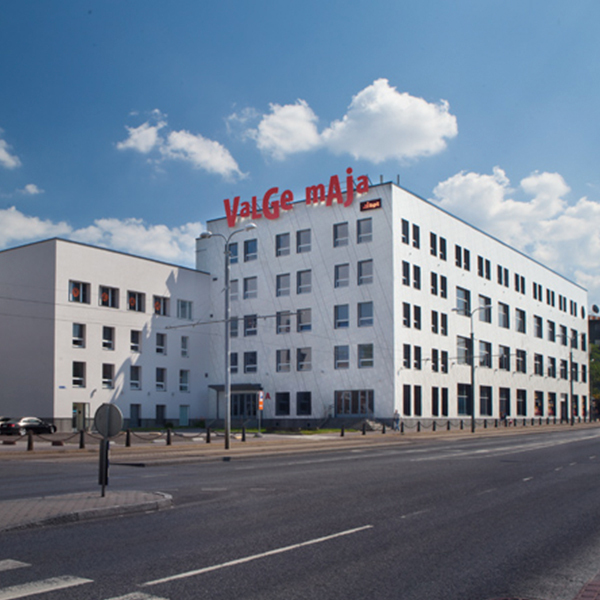 Valge Maja is the second coming of the former legendary Marat production building in the form of a modern commercial building with spacious rooms, up to 5 meters high ceiling offices, abundant natural light, high quality technical resources and low maintenance costs. 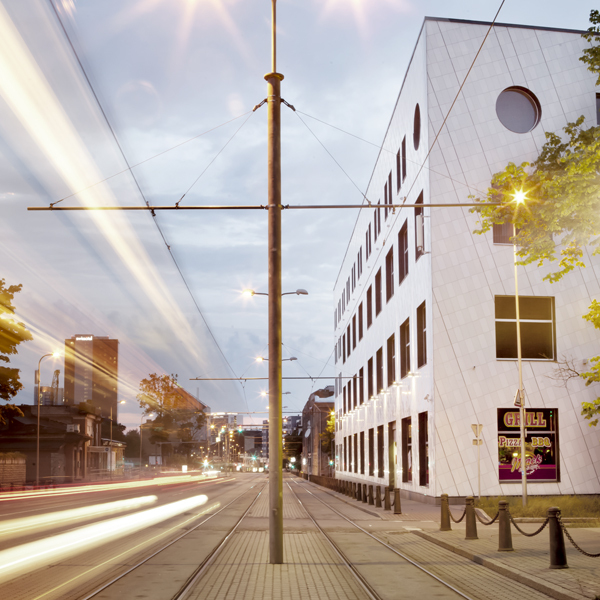 Anchor tenants come from different sectors – shared service centers, IT sector and service/retail. Gross area 18,536 sq. 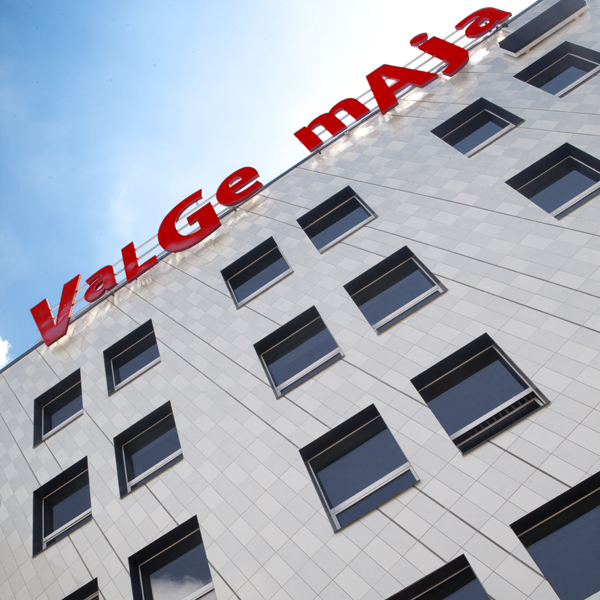 m.
Total rentable space 16,104 sq. m.